Pictures of this gorgeous tunnel are all over Instagram, for obvious reasons! It's one of the most magical places in the whole world, and it's totally real. If you're living in Ukraine, or just visiting, you need to see it. You may not know this, but Ukraine is absolutely bursting with some of the prettiest places in the world. Plus it's super cheap. And the variety of things you can see and experience will satisfy any European wanderlust you have. Missing the beach? Spend a weekend in Odessa! Want to experience the fine arts? Go to Kiev's ballet, opera, or theatre! Need more colorful cathedrals in your life? 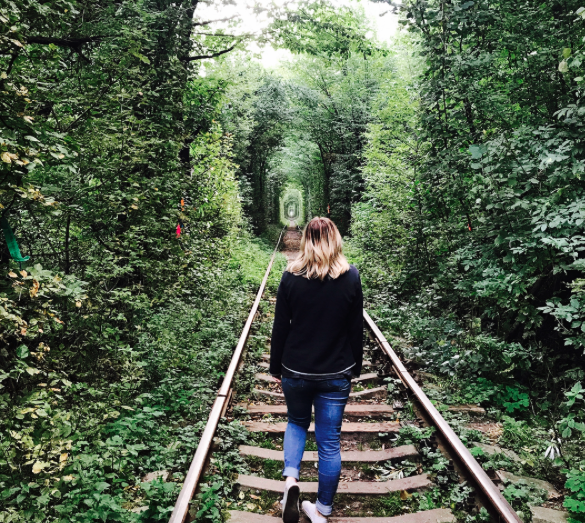 While volunteering as an English teacher with International Language Programs in Kiev, you'll be able to spot these four cathedrals and dozens of others. Yep, Ukraine is full of incredible things to see and do that aren't found anywhere else. One of our favorites is the Tunnel of Love! 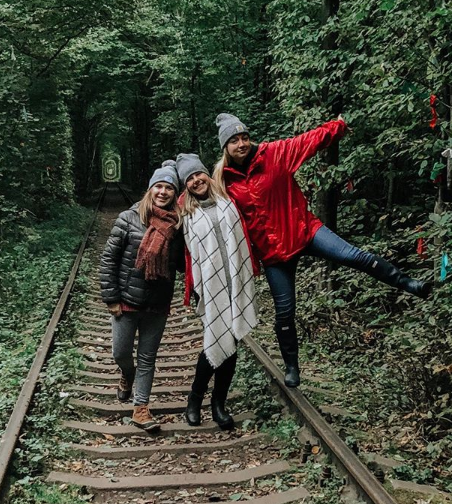 This is an ideal weekend trip from Kiev, so here's everything you need to know before planning your trip to this historic and stunning landmark. Where Is This Dreamy Spot? Located in northwestern Ukraine is a tiny, historic town called Klevan. There you'll find monuments, cathedrals, and even a castle! Plus it's home to the Tunnel of Love! 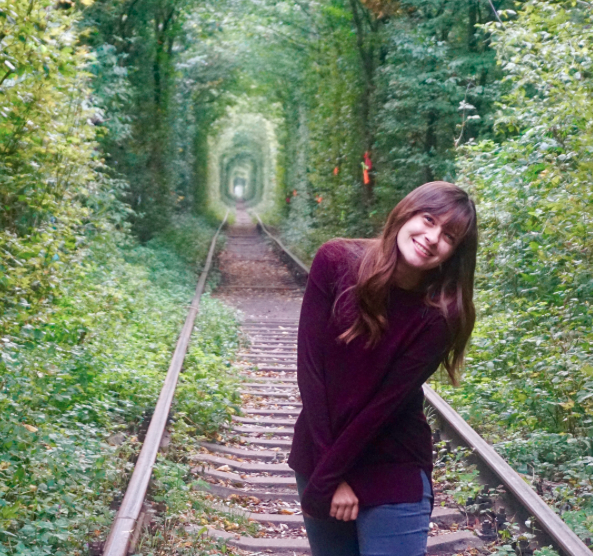 This gorgeous leafy tunnel is about 5 km (3 miles) long and looks like it leads straight to Narnia. The arches of the tunnel are beautiful all year long, since the leaves change with the seasons. We guarantee you'll fall in love with it no matter when you go. Be aware that the local trains do still use this route three times a day to transport lumber to a local factory, but other than that, it's the perfect spot for a stroll. The tunnel is also used by couples to make their "lover's wishes". Legend says that if two lovers are sincere in their love, their wishes will come true. We think it's such a perfect place, that even without a lover, any wish you make here will come true! The easiest way to get here (and we're all about easy) is to actually start your trip in Rivne (Rovno in Ukrainian). To get from Kiev (or Lviv) to Rivne, you can either take a bus or train. Buy your ticket beforehand and be to the station early to avoid any hiccups! Ever taken a night train? If you don't want to spend money on a hostel or AirBnb, grab a sleeper ticket for around $5. From Kiev it's about a seven-hour train trip anyways, so sleep while you travel? Win win! The bus takes four to five hours, and has more daily departure times, so it's up to you! Once you get to Rivne, you'll jump on a minibus (marshrutka). You'll find them right outside the train station, and they leave about every 15 minutes, so just look for the one with the "Klevan" sign. The ride takes 45 minutes, and costs about $1. Try to get a window seat, because there is nothing like the Ukrainian countryside! When you get to Klevan, keep an eye out for the sign that says "Tunnel of Love" (Тунель кохання). The bus will stop just a little ways past it, and then you'll walk back up to Slovyanska Street and follow that road for about 20 minutes until you reach the tunnel! The track stretches both ways, but for the best pictures, go to the right and walk for about 20 more minutes. If you want to edit your favorite snapshots later, here is a list of some great editing apps! Or you can use one of these presets that require no time or talent to make your pictures ready to be featured on the ILP Instagram! 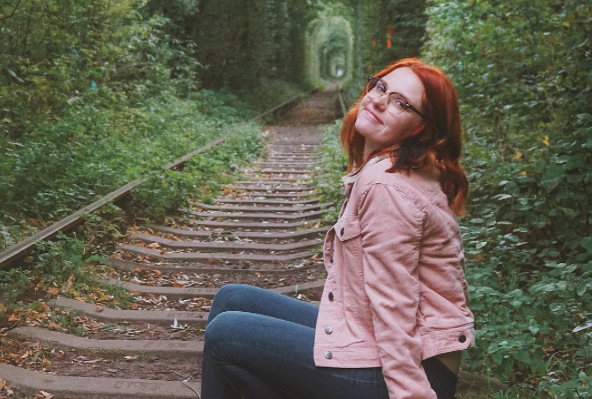 Once you have those fairytale pictures, keep walking, find a spot for a picnic, maybe do some journal or letter writing, and just enjoy this magical place. Chances are you'll never get to see anything like it again! When you're done, walk back out to the road where the minibus dropped you off and cross the street. Then wait for one to drive by that says "Rivne" in the windshield. Wave it down, and before you know it, you'll be on your way! Visiting the "Tunnel of Love" will probably take a little longer than a day trip. If you opted out of the night train or bus, then you'll need somewhere to stay. The town center is about a 30 minute walk from the station, so you can catch a taxi, or just walk it! I mean, you're walking about ten miles a day on every vacation in Europe anyways, right? We've heard great things about the Rivne Hostel! Breakfast isn't included, but since this hostel is only about $6 a night per person we're not bothered. If you're looking for a more glitzy, top-end place with breakfast, we totally recommend Boutique Hotel Central! It's still less than $20 a night per person and you only have to look at the pictures to see why it's so popular! 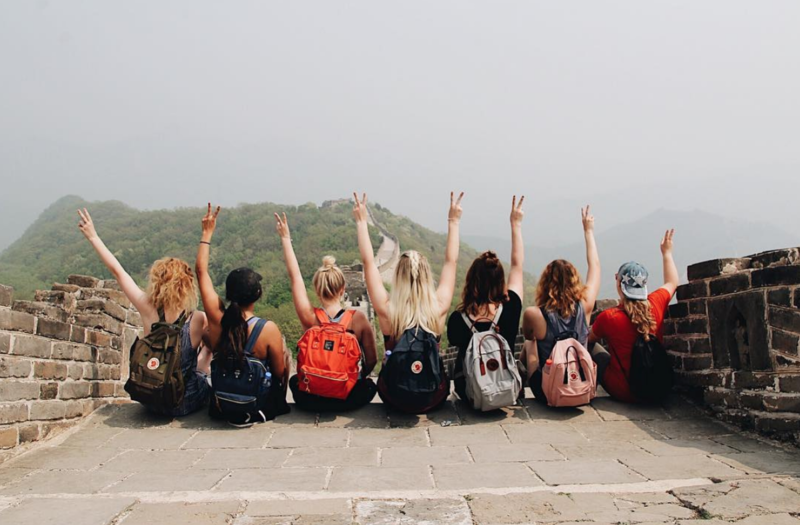 Ready to start your own semester abroad? As a volunteer with International Language Programs, you'll be spending about 20 hours a week teaching the cutest kids, but the rest of the time will be yours to take awesome vacations, just like this one, with other volunteers.